Allegiant announces today new, nonstop service to Destin-Fort Walton Beach Airport (VPS) from 11 cities, marking the largest single expansion into Florida in the company’s history. Allegiant also announces today, that the Destin-Fort Walton Beach Airport will now serve as a seasonal base of operations due to the strong demand for service to the popular destination. To celebrate, the company, known for its exceptional travel deals, will introduce the new routes with fares as low as $42*. Flight days and times can be found at Allegiant.com. Allegiant offers a unique option to travelers with low base fares and savings on rental cars, hotels and activity and attraction tickets. Travelers can book their entire vacation with Allegiant for less. 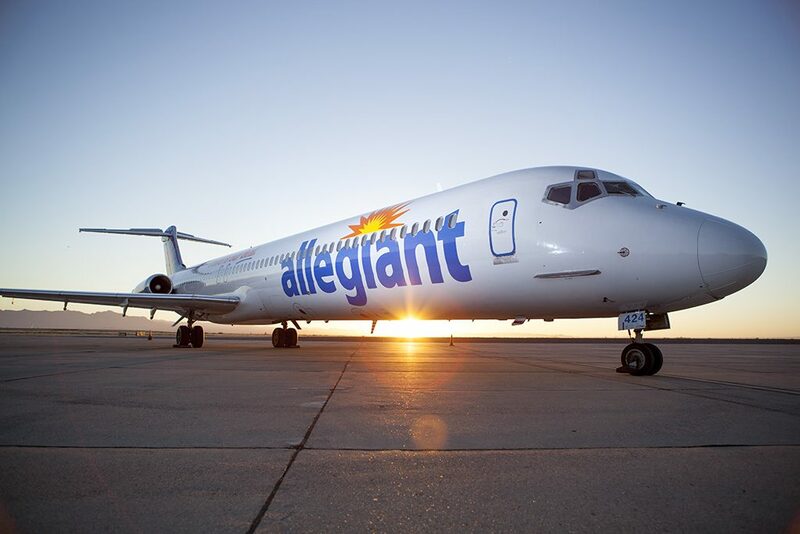 “Allegiant has absolutely changed our horizon and commitment to VPS, Okaloosa County, the Northwest Region and the State of Florida. The economic impacts of a new base and 11 new nonstop flights will bring tremendous growth and direct connections our area has never seen. We are thrilled and look forward to a very successful 2017,” said Tracy Stage, A.A.E. Airports Director, Okaloosa County Airports. Allegiant offers a unique option to travelers with low base fares averaging less than half the cost of domestic round-trip tickets purchased in 2015. With unique savings on rental cars, hotels and activity and attraction tickets, travelers can book their entire vacation with Allegiant for less. Seats are limited. Price includes taxes and fees. Fares are one way and not available on all flights. Flights must be purchased by Jan. 13, 2017 for travel by Aug. 15, 2017. Price displayed reflects purchase by debit card; purchase by credit card subject to surcharge not to exceed $8 each way per passenger. See Allegiant.com for details. For optional services and baggage fees, please visit Allegiant.com. Additional restrictions may apply. Please consider Memphis, Tn to VPS, Ft Walton/Destin. Please consider Birmingham to Ft. Walton/Destin! Will Philadelphia airport or Atlantic City Airport join this route ?? ?